Russian President Vladimir Putin has invited President Trump to Moscow, Reuters reports, adding that while he and Trump are ready to pick up where they left off in Helsinki, the conditions must be right for a meeting to take place. Trump said on Friday he is "open to visiting Moscow," the Associated Press reports, after he receives a "formal invitation" from Putin. The backdrop: Trump initially invited Putin to the White House for a summit in the fall, but the potential meeting was delayed by national security adviser John Bolton. He said in a statement on Wednesday that Trump "believes that the next bilateral meeting with President Putin should take place after the Russia witch hunt is over, so we've agreed that it will be after the first of the year." 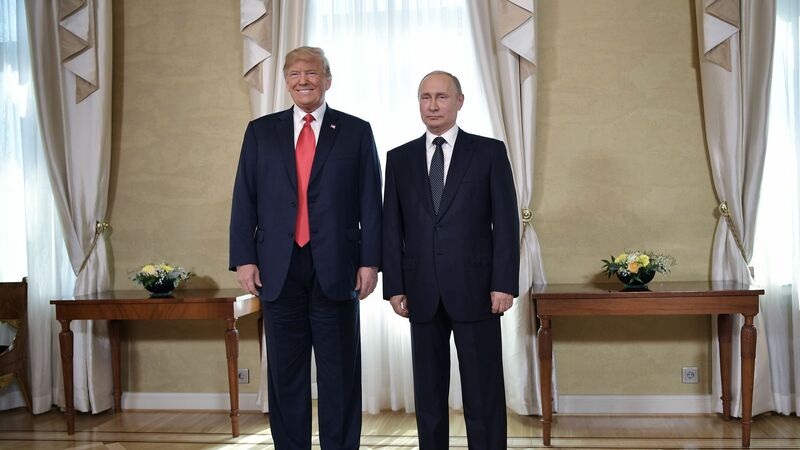 Why it matters: The relationship between the two leaders has stunned many in Washington, and their Helsinki summit has drawn criticism from people across the political spectrum — even those typically supportive of the president. But Trump continues to insist that positive relations with Russia is a good thing, and additional talks between them is his way of proving it.